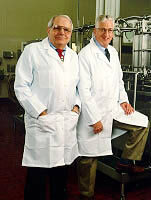 Dr Tharp and Dr Young. "Tremendous experience shared professionally; friendly,open, relaxed atmosphere..very informative overall, excellent." "Dr. Tharp’s and Dr. Young’s knowledge of the industry was essential to the success of the course." Workshop III: Mix formulation to maximize heat shock resistance. Rationale, guidelines and approaches. 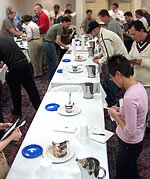 "Good clinics and workshops added to more interaction - case studies and sampling a plus."